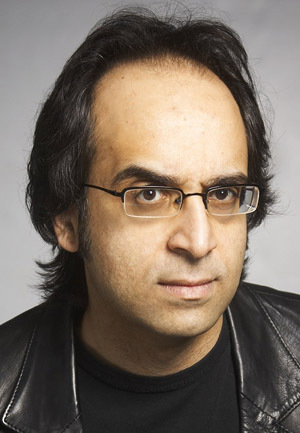 Inder Manocha has performed stand-up comedy all over the world since 2000. He has played all the major comedy venues across the country, from the Comedy Store to Jongleurs to the Hackney Empire. He has made successful appearances with the Comedy Store’s critically acclaimed ‘Cutting Edge’ team (improvised comedy on topical issues). In 2004 he won the EMMA Award (Ethnic Multicultural Media Award) for Best Comedy/Comedian, beating Meera Syal, Lenny Henry and Three Non-Blondes. As an actor, Inder features in the film ‘The Blue Tower’, which won the Best UK Feature at the 2008 Raindance Film Festival. He also appeared this year in Madonna’s directorial debut ‘Filth and Wisdom’, in which he plays one of the lead characters, as well as the BBC3 sitcom ‘Pulling’. In 2007 he appeared in E4’s ‘SKINS’ in the role of Anwar’s father. In 2006, Inder performed his debut full-length show at the Edinburgh Fringe Festival, ‘Unpronounceable’, at the Pleasance Courtyard. The show explored his life growing up in the ever-increasing multicultural mix of Britain. The MOSAIC Talent Awards, The Natural History Museum, co-presenting awards with HRH Prince Charles, 2008.